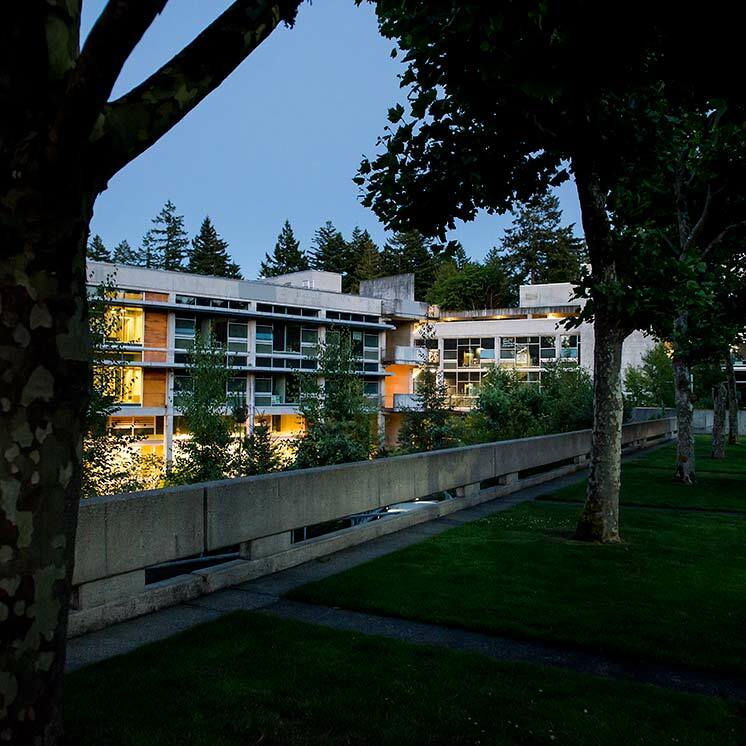 The Evergreen State College promotes the health and well being of its community of staff, faculty, and students. The college recognizes substance abuse as a serious yet treatable condition. The use of illegal drugs and abuse of alcohol are not only dangerous, but are the antithesis of a healthy institution. All community members have the right to expect a campus environment in which they will not encounter substance abuse. Use of controlled substances is prohibited at any and all campus sponsored activities regardless of where the events occur. A banquet permit is required at all activities where alcohol is served. As a condition of employment or enrollment, employees and students are required to abide by this policy and the following referenced policies: Drug-free Workplace Policy; Alcohol beverage banquet permits; Student Conduct Code; Faculty Handbook; HEPB rules. The faculty or staff person in charge of a college event where alcohol is provided or consumed must assure that alcohol is not used illegally, dangerously, or abused, whether the event takes place on campus, at a retreat, in a private home, or else where. For on-campus events, a liquor or banquet permit is required and must be posted at the event. This process is initiated in the Office of the Vice President for Student Affairs (Library Building, room 3236). In accord with rules adopted under student governance, no alcohol can be consumed at student sponsored or housing sponsored events. Alcohol can only be consumed at events where food is served. It is against the law to possess and traffic controlled substances. First time convictions can result in up to one year in prison and/or a fine of at least $1,000. Forfeiture of property can be an additional penalty, as can denial of Federal benefits (including loss of student loans and grants for up to one year for a first time possession conviction to permanently over one's life for a third time distribution conviction). Further, possession of manufactured drugs is illegal without a prescription or valid authorization. The use of alcoholic beverages by persons under 21 years of age (i.e., a "minor") is illegal and punishable with fines of up to $5,000 and/or up to one year in jail. The sale or delivery of alcoholic beverages to minors is also prohibited, with fines of up to $5,000 and/or up to one year in jail. Attempting to misrepresent one's age or illegally purchase alcohol is a misdemeanor, and furnishing an ID for another's use faces a minimum fine of $250.00 and 25 hours of community service. Finally, public consumption of alcohol is a class three civil infraction. Penalties for these violations are outlined in sections under RCW 66.44. Information about federal and state laws can be obtained at Police Services (867-6140, Seminar 2150). State laws for several alcohol- and drug-related issues can also be accessed at http://slc.leg.wa.gov/default.htm. It is the policy of The Evergreen State College to comply with the requirements of the federal Drug-Free Workplace Act of 1988. Outside of an approved and licensed research program, it is unlawful to manufacture, distribute, dispense, possess or use controlled substances defined in schedules I through V of section 202 of the Controlled Substances Act (21 U.S.C. 812), and as further defined by regulation at 21 CFR 1308.11 through 1308.15 on the premises of The Evergreen State College campuses or at any other location at which official college functions are held. Any violation of this policy will result in a sanction within the college's disciplinary action procedures ranging from a warning to a dismissal. Faculty are expected to adhere to the standards as set forth in theFaculty Handbook. In the event of substance offense, a hearing process is initiated. Sanctions, that may include termination, are fully outlined in the Faculty Handbook. The Student Conduct Code (WAC 174-120-010 through 080) prohibits the "use, possession, or distribution of any controlled substance or illegal drug on college premises or at college sponsored activities." The prohibited substances are defined in the Uniform Controlled Substances Act Chapter 69.50RCW, as amended. Violations of this policy prohibiting the use, possession, or distribution of illegal drugs on college property or at college sponsored events are punishable by "expulsion, suspension, or summary suspension unless specific and significant mitigating factors are present. Factors to be considered include present demeanor, past disciplinary record, nature of the offense, and the severity of any damage, injury, or harm resulting from it." The Student Conduct Code(WAC 174-120-030 through 080) prohibits the use, possession, or distribution of liquor on college property except when a student is of legal age or at a college-sponsored event that has an approved alcohol beverage banquet permit (Chapter 174-157-WAC, as amended). Any public appearance on campus or at any college-sponsored event while intoxicated, as defined by state law, will be considered a violation. Violations of the prohibition against alcohol use are punishable under Washington State law and the Student Conduct Code. The Campus Grievance Officer typically requires all students found to be in violation of the Student Conduct Code for drugs or alcohol to attend a drug & alcohol abuse prevention class on a first offense; additional violations will result in additional sanctions, including community service, restrictions on campus access, suspension or expulsion. The Grievance Officer also has the authority to offer the option of a drug treatment program in lieu of or in addition to other sanctions. Students living in Housing may have the option of working with the Housing Arbitration Panel in lieu of working with the Campus Grievance Officer. Typical arbitration outcomes include drug & alcohol abuse prevention classes and community services. Enrolled students, faculty, and staff seeking treatment will use personal resources available to them to cover costs incurred for treatment. All insurance options have treatment components. Paid sick leave and leave without pay are available for faculty and staff when they participate in in-patient treatment programs or other formal treatment programs. Any student seeking approved professional treatment for an alcohol or drug problem will be granted a leave of absence for the term of the treatment, if requested. All matters of treatment will be considered confidential and privileged to the extent allowed by law. Any records of discussions regarding student health problems will be treated in accordance with ethical standards set by the applicable medical and psychological professions to insure confidentiality. Any records that are kept will be in the college counseling and health center, not in the student's official file. If the individual's behavior related to alcohol or other substances involves law enforcement, separate records would also be kept in the campus Public Safety Office. Staff and faculty files are maintained under the state law governing public records. Medical information is only included in the file as an adjunct to request for leave or other personnel actions. No materials or medical records shall be entered in a personnel file without prior notification to the employee. If a student is referred to the counseling and health center by a faculty or staff person because of substance abuse and the student chooses not to follow the recommendations of the professional staff, the referent will be notified of the status of that referral only if there is a written release of information by the student. The faculty and staff person may then consider any further action based on overt behavior that caused the referral to be made. Referrals of employees by other employees will observe the same standards related to release of information and the basis for further action. State Employee Insurance Coverage: Contact Human Resource Services at 867-5361 for information. Employee Assistance Service: For confidential information, appointments, or 24-hour emergency support, call 493-7867 or 1-800-216-7867. In addition to psychological counseling, the center provides information and referrals concerning substance abuse treatment. Intervention efforts consist of individual feedback sessions and prevention workshops to empower students toward a positive life. Services Provided: 24-hour help line; resource guide to other treatment agencies in the Olympia area. Works in Counseling Center providing individual assessment, therapy, and group education around drug and alcohol consumption. *Schedule I and II drugs have a high potential for abuse. They require greater storage security and have a quota on manufacturing, among other restrictions. Schedule I drugs are available for research only and have no approved medical use; Schedule II drugs are available only by prescription (unrefillable) and require a form for ordering. Schedule III and IV drugs are available by prescription, may have five refills in 6 months, and may be ordered orally. Most Schedule V drugs are available over the counter. **Taking drugs by injection can increase the risk of infection through needle contamination with staphylococci, HIV, hepatitis, and other organisms.